For folks looking for some respite from Christmas shopping or from becoming participants in the demolition derby that is mall parking, North Bay theater companies are providing several seasonal entertainments to help keep you in the holiday spirit. Spreckels Theatre Company (spreckelsonline.com) is doing The Tailor of Gloucester, an original holiday musical based on the Beatrix Potter story. Michael Ross directs. Sonoma Arts Live (sonomaartslive.org) brings Anne of Green Gables to its Rotary stage. 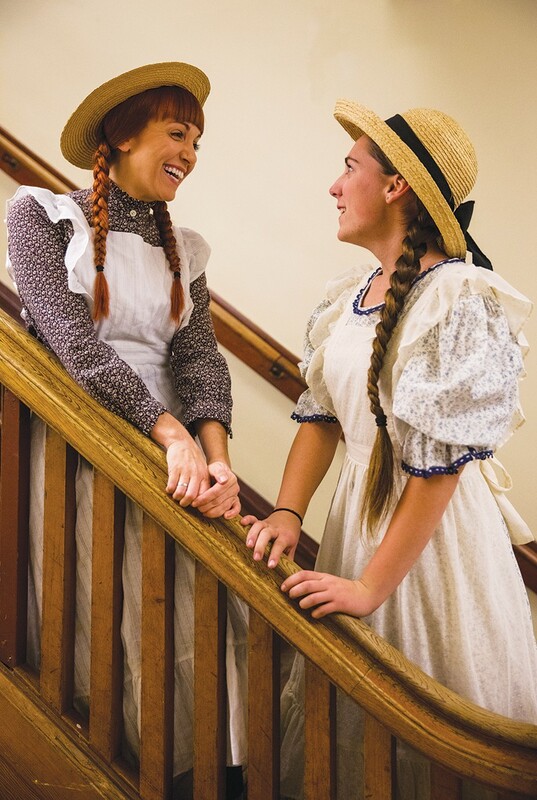 This musical version of the L. M. Montgomery classic is about a spunky redheaded orphan winning over her new family and an entire Canadian island. Speaking of spunky redheaded orphans, 6th Street Playhouse (6thstreetplayhouse.com) assures us the sun'll come out tomorrow with Annie. It's Daddy Warbucks versus the evil Miss Hannigan, with Annie, and her little dog too, as the objects of their attention. The 12 Dates of Christmas—a "holiday survival guide" for the single woman—will run in the 6th Street Studio Theater. For nostalgia fans, Redwood Theatre Company (redwoodtheatrecompany.com) will be presenting It's a Wonderful Life in the live radio play format. A plucky little girl—this time named Eve—takes center stage at the Cloverdale Performing Arts Center (cloverdaleperformingarts.com) in Yo Ho Ho: A Pirate's Christmas. Can she rescue Santa and Christmas from the clutches of a gang of directionally challenged pirates? Over in Napa, Lucky Penny Productions (luckypennynapa.com) presents Scrooge in Love, which musically answers all the questions you may have about what happened after the end of Dickens' classic Christmas Carol. For those in the mood for a big, splashy music and dance extravaganza, there's always Transcendence Theatre Company (transcendencetheatre.org) and its "Broadway Holiday Spectacular." They'll be doing three performances at Santa Rosa's Luther Burbank Center and two performances in Napa at the Lincoln Theatre in Yountville. Lots of entertainment options, and I'm sure the producing companies would like to remind you that theater tickets make great stocking stuffers . . .